Piney the Turtle is a specialty American Rye Ale. The dry and spicy character of a cleanly brewed rye ale is supported by piney/resinous hops, blue spruce tips, and a touch of juniper berries to create a uniquely refreshing beer with invigorating aromatics. This beer was designed by Beancurdturtle Brewing LLC and brewed (so far) at Phantom Ales in Anaheim California. Don’t expect to be blown away by some huge palate walloping beer like a DIPA or BBA Stout. The concept calls for an American Rye Ale 6% ABV and about 40 IBU, with additions of select hops, blue spruce tips, and juniper berries used to contribute restrained yet decidedly piney/resinous characters. Balanced and approachable enough to invite a second pint. This is all a well informed brewer - knowing their overall brewhouse efficiency and brewing calculations - should need to duplicate the recipe brewed at Phantom. Duplicating the recipe will get you close, but process, water chemistry, and all the other factors will effect the final beer. All measurements are in American units to simplify for US homebrewers. Try it. Let us know how it turns out. If you're a commercial brewery - please let us know and credit Beancurdturtle Brewing LLC. Brewed for a charity event - and as a pilot for a staple commercial release Session Saison. This is not a fruit beer. Sure, kumquat is used in the making of the beer, but it is meant to contribute to the core characters of a Session Saison - not take over the beer. Like a touch of salt on a great dish, the salt enhances but doesn’t own the dish. 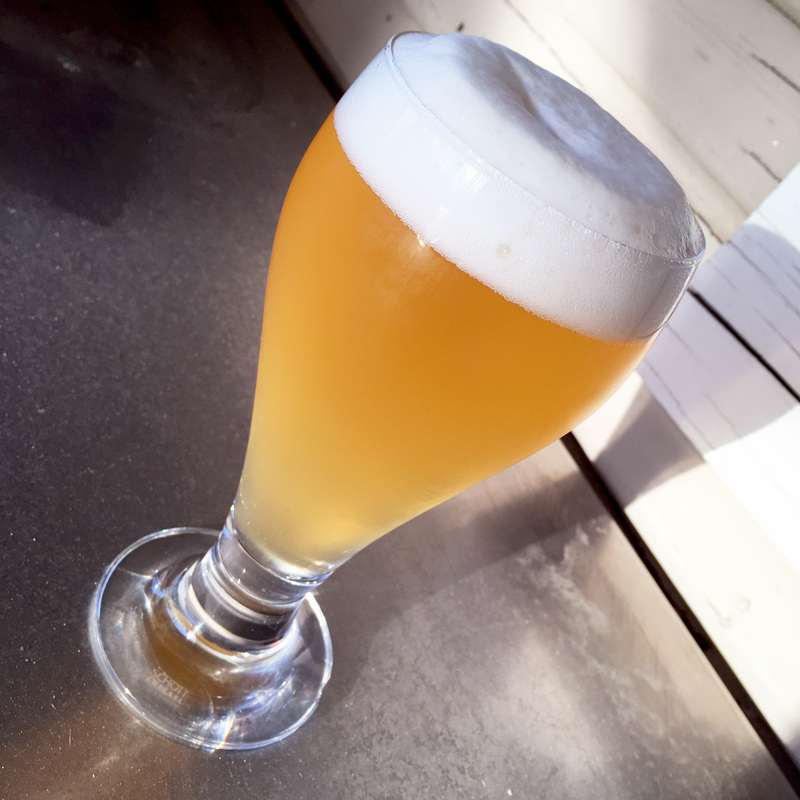 The style Saison was originally the hydration for field hands centuries ago. Water would make you sick. Instead you were given a ration of beer, typically 5 liters a day. So the character of a traditional Saison had to be refreshing, crisp, quenching, and low in alcohol. What should you expect from this beer? Expect restrained citrus notes contributed by the Kumquat, underlying the traditional character of a terrific Session Saison. It’s low in alcohol, so take a big pour and gulp it down like a thirty dog. Just a little kumquat for character. Great color even before fermentation. Kegged and ready to carbonate. Kumquat Session Saison ready to drink.